As I scrolled through the morning headlines last week, I came across an article printed in the New York Times describing several couples who had blissfully parted ways to enjoy a much needed break from reality, after enduring the stresses associated with their weddings. While I have explored the benefits of solo vacations, I had never considered the idea of couples separating from each other, to relax on independent vacations, following the reception of their wedding. To say I was intrigued, is an understatement! With a quick google search, I realized that taking individual honeymoons (also known as, “unimoons or solo-moons”), is more common than I expected! The NYT article does a great job exploring some of the pros and biological factors of taking trips, as well as the sociological evolution of the meaning of marriage. However, I wish the article distinguished more between honeymoons and general vacations. A honeymoon isn’t just “any” vacation, it’s an opportunity for a person and their spouse to reconnect after weeks/months of stress, and for them to begin to create their identity as a pair. Absent from the article was mention of the need to connect and begin to build shared experiences as a married couple. Travel, whether near or far, offers an opportunity to bond and build a strong foundation of compromise and support, as well as fun, as they embark on this next stage of the relationship. But what about couples who have been together for years or even decades, before tying the knot? Haven’t they already developed a strong sense of “we/us”? The answer is yes and no. 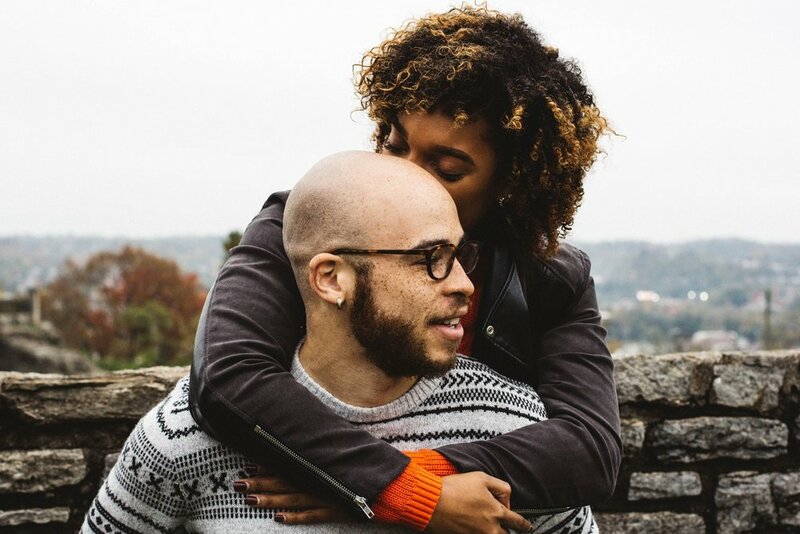 While couples who have lived together and/or spent significant amounts of time in a relationship likely have a strong identity as a couple, the question is, do they have a strong identity as a MARRIED couple. Everyone has reasons for tying the knot, however, regardless to the reasons, when couples decide to walk down the aisle, they are acknowledging that marriage is a new step or stage, and that it is adding something to their union. What better place to explore that new dynamic than in a new environment, or while experiencing something new, with their partner? Looking at Gottman Therapy, we know that the goal of relationships is shared meaning. To reach shared meaning, couples must build love maps, share feelings of fondness and admiration, turn towards one another, manage conflict, and work to have a positive perspective towards one another. All of those steps are difficult to attain, if the couple consistently pursues individual endeavors over activities as a couple. On the other hand, should couples decide to take their honeymoon as a pair, each level of the Sound Relationship House, can be nurtured and fostered throughout the trip. See the list below, for more details about how taking a honeymoon as a couple can help strengthen your foundation. It can be hard to put aside personal desires and individual needs to compromise with a spouse, especially with the added stress that can come along with travelling. However, the benefits of taking the honeymoon as a couple, instead of parting ways, can provide stability at a pivotal point in the relationship, and allow the couple to build a strong foundation for which to grow their marriage. Rest assured, there will be TONS of occasions, throughout their lives together, to develop their individuality, but they will only have one chance to relish in the glow of this newest union! Enhance Communication: Without stress and prying eyes, you and your partner are able to talk freely with one another. Process the wedding together: You spent thousands of dollars on the “big day”, but hardly had a chance to recap the experiences and perspectives from throughout the night. This also gives you and your partner a chance to “relive” the moments from your wedding, and find out what really stood out to each of you. New Dreams- As you enter this new phase, you and your partner may feel more secure in expressing dreams and desires or exploring further into the future, especially now that the two of you are bound together in matrimony. There is now an additional layer of security when being vulnerable. Rituals of Connection- Honeymoons allow you and your partner to build memories together, and encourage you and your partner to create a joint vision for the future. Events/Meals/Destinations experienced during this time can be used for decades to come, to unite and ground you as a couple, and to help reconnect you, when you feel distant in your relationship. Reduce stress- Let’s face it, weddings are stressful. Taking time away from your everyday life allows you to live in the moment, and re-energize before facing the “real world” again. Validation- Couples often say that the wedding went “by in a blink of an eye”. It’s hard to feel like anything has changed, particularly if you have been together for a while, immediately following the wedding ceremony. By introducing yourselves as a married couple, hearing people gush over this exciting time (think hotel staff, restaurant staff, excursion guides, etc), and reading cards of well wishes, helps validate that this event is a positive milestone, and allows the magnitude and joyous sentiment, sink in! Older PostPut Play on Your To-Do List!